Equitrekking is excited to team up with Utah outfitter Pat Kearney of Hondoo Rivers & Trails to donate a dream riding vacation to the Washington International Horse Show's (WIHS) Silent Auction. A lucky WIHS attendee will get to explore Utah’s Canyonlands with Pat, who’s been leading riders into Utah’s great national parks and the Colorado Plateau for over 30 years and is a featured guide on Equitrekking's TV series, which broadcasts on PBS and on international networks in over 65 countries. 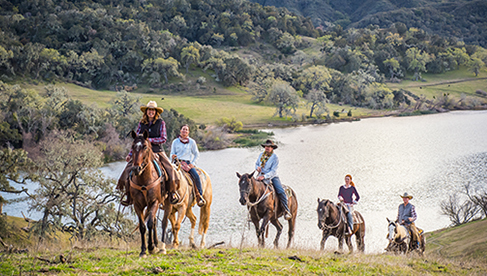 If you love great American West scenery, horses, history and adventure, this is a spectacular vacation. 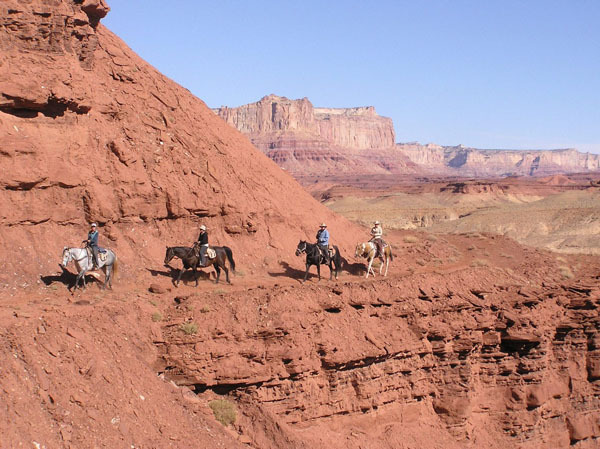 The trail riding vacations focus on scenic and distinctive land formations in the middle section of the Colorado Plateau, the last explored region of the continental United States, bound by the south side of the Grand Canyon. A Navajo Indian legend describes the area as, “the land of the sleeping rainbow”. 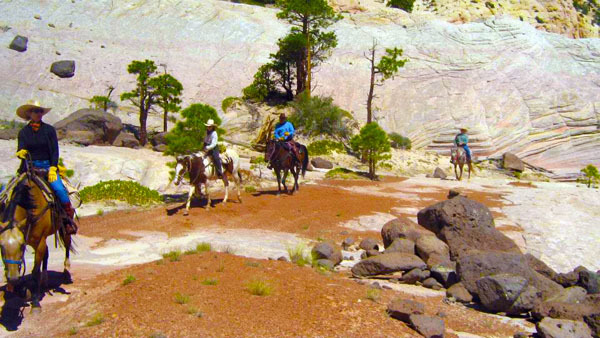 To trail ride this terrain and take in the panoramas of the “sleeping rainbows” breaking from the lush alpine plateaus looming high above is a once in a lifetime Western adventure. The auction item allows the winner to choose from any of Hondoo's 2013 camping vacations, which explore a variety of national parks and natural areas including Capitol Reef National Park, Grandstaircase-Escalante National Monument, San Rafael Swell Wilderness, or Utah’s High Plateaus. 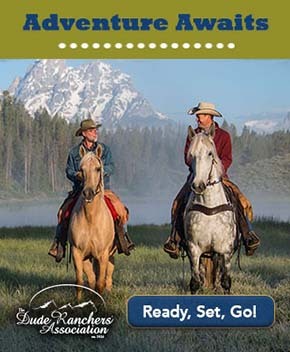 Check out more information on these Utah riding vacations in the Equitrekking Vacation Guide and at www.hondoo.com. The Washington International Horse Show is an annual horse show, held in October in Washington, DC. This year's show will be held October 23-28, 2012, at Verizon Center in downtown Washington, D.C. International riders will compete in jumper classes, hunter classics, dressage, sidesaddle, and ponies. There's also a special barn night Thursday, October 25. Visit the WIHS Silent Auction on the concourse throughout the week to bid on this dream Equitrekking equestrian vacation. To get the latest riding vacation and dude ranch travel deals, sign up for Equitrekking's free e-newsletter.